Dental crowns provide the most appropriate care for teeth which has suffered dental decay. The protective covering called crown is placed as a cover on the teeth and provide support to the teeth and maintain its structure. It ensures that the person is able to continue with increased confidence and enjoy good oral health. The latest advancement in this field is the One Visit Crowns (CEREC). CEREC is the abbreviation for Chairside Economical Restoration of Esthetic Ceramics. This technology provides the treatment in a single appointment. The service provided by this advancement is so distinct that all requirements of restorative treatments can be provided within the shortest time frame possible. Conventionally, placing dental crowns require few consultations. Dental examinations are done by the dentist to obtain a comprehensive picture of the mouth. Discussions are conducted with the client and the treatment procedure is planned. The tooth is prepared to accept crowns, this involves removing dental pulp which is decayed. This is done to stop bacterial growth in the pulp area. Space is filled up and then the dental crowns are placed. Using this advanced technology, the procedure which takes few consultations is conducted in a single day. This procedure makes sure that the natural tooth is protected to the maximum and only the decayed part is removed. Restoring the natural tooth to the maximum and making sure that the oral health is not compromised is what the technology aims at. The process focuses on restoring the tooth; care is taken to ensure that only the decayed enamel is removed. This helps in keeping intact the good strong original dental enamel and helps to make sure the original dental structure is kept intact. Few of the One visit treatment procedures are discussed below. As with all dental consultations, this treatment procedure also begins with oral examination supported with X – rays observations. This technology has an in- built camera which takes pictures of the oral region. Using this as the base picture, a three dimensional image is created. Powered with the technology support, the dentist will then commence in creating porcelain crowns. Porcelain crowns are preferred due to their aesthetic value. They are so alike the natural tooth that it is difficult to find the difference between the two. This is very important as many people are worried about their appearance and it also affects their self-confidence. Another distinguishing and important feature of porcelain crowns is that it is bio-compatible. It does not cause any allergic reactions and is completely safe for health reasons. It is due to all these features that this technology uses porcelain crowns in their treatment procedure. Another type of procedure of restorative procedure that is commonly done is Inlays and onlays treatment. This does not involve complete dental filling. In this treatment it is the grooves on the teeth that are protected in the treatment. Inlays offer protection to the top part of the teeth; onlays cover the top portion of the teeth and also the cusps of the teeth. This protects the teeth from further treatment. With the CEREC treatment, procelain inlays and onlays are applied on to the teeth and they are protected from further damage. This process due to the advancement in technology is conducted in a single visit. Bridges are crowns that are linked together to replace the missing tooth. The crowns are linked to one another – crowns are placed on adjacent teeth and then the missing tooth position is taken up by a crown. This ensures that the teeth structure is not lost and the other teeth also do not shift in their position as there is a lost tooth. The procedure takes few dental consultations before the permanent dental bridges are placed. All these procedures are done in a single consultation and the results are remarkable. It is because of this reason that many clients choose for this treatment. One of the main advantages of this treatment is the time one needs to spend on the treatment. The creation of the prosthetics and placing them is all competed in a single day. Time is not lost due to multiple consultations. The treatments are custom made – the impression of the teeth that need to be restored is made via digital images and they are accurate and effective. This also ensures that time is not lost of making moulds for the teeth. 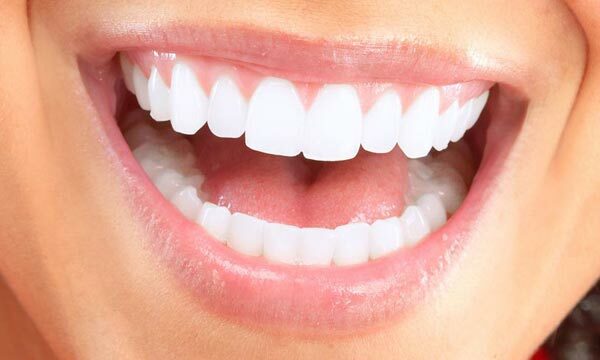 The materials mimic the natural teeth so well that it is hard to distinguish one from the natural teeth. The restorations processes are all done meticulously to ensure that the restorations fit in well with the natural teeth. It is not just the appearance that is given importance but also the oral health. The materials used are plaque resistant and help to promote oral hygiene and it is easier for clients. Continuing good care and treatment after the procedures is important. Brushing and flossing should be continued as usual. This helps to clean the oral region of food debris and thus avoiding bacterial action on the food. If unchecked this can lead to gum infection and gum diseases. Using mouth wash also helps in maintaining good oral health. It is also important that if there are any concerns after the treatment, they need to be checked immediately with the dentist and seek help. In order to maintain good oral health – healthy diet and reducing the intake of junk and sugary food and drinks is particularly important. Going in for dental consultations twice a year, learning on methods and tips on how to maintain good oral health is recommended. Oral health is often taken as an indicator for the overall health of a person.